and I almost hit an owl with my car the other night. That alone is pretty insane...that must have either been a really low flying owl, or it was perched in the middle of the road just chillin. 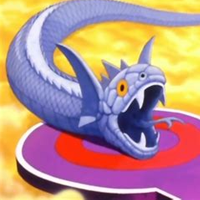 I’ll play some IRL Pokémon snap for you, Link. Yes please. I expect a full review of each animals observed behavior, and how you'd rate that animal out of 10. I want that on a tshirt. Did that shirt exsist or did you make it, Warp. I need to start carrying around a notebook. It a great year for wildlife, apparently. I had yet another skunk run-in the other night while I was taking out my recyclables. I walked past him while he kept his business end to me. Fortunately I didn’t startle it and made it past twice. I saw a fox running down the road tonight and he crossed it as I slowed down. This. That's actually a sick shirt and I kind of want to order it. I need to start carrying around a notebook. Agree. These nature stories with Monkey are great. 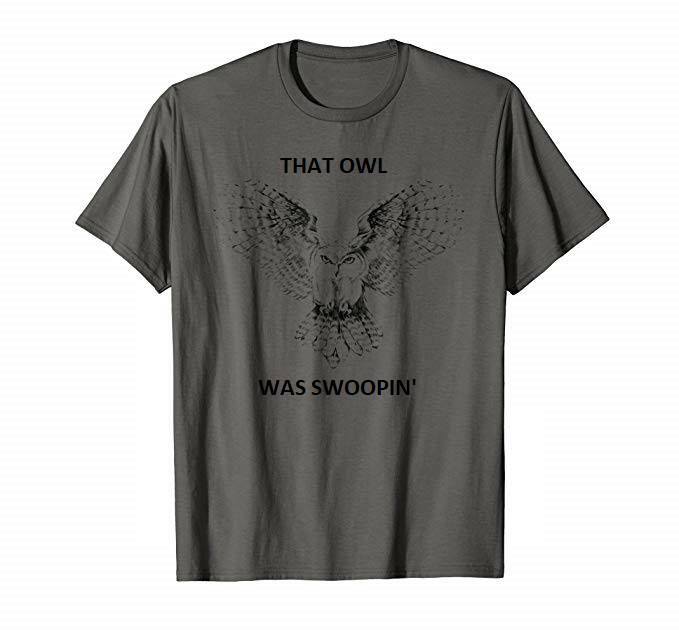 I found the owl shirt online and used MS Paint to add the words. Only subtle difference I see in yours vs Monkey's original is Monkey said "The", and you said "That". Now I can't decide which I like better. Thoughts? 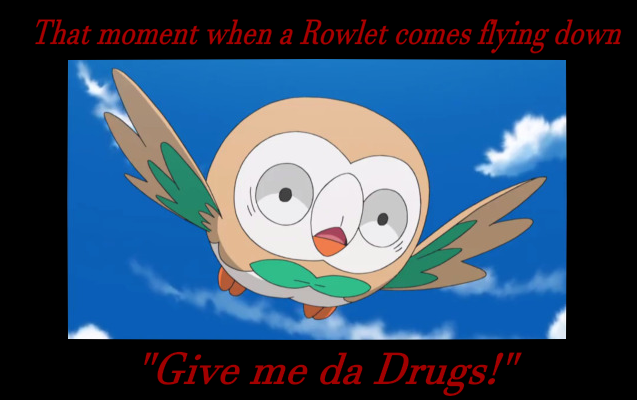 "That owl" makes it seem like it's some kind of slang. Might set off a new trend! I forgot to report this, but I whitnessed a fox using a crosswalk late last month or early this month. Haven’t seen anything as cool as an owl lately, but there’s lots of deer and turkeys around this year. Whoa, that's pretty sweet. 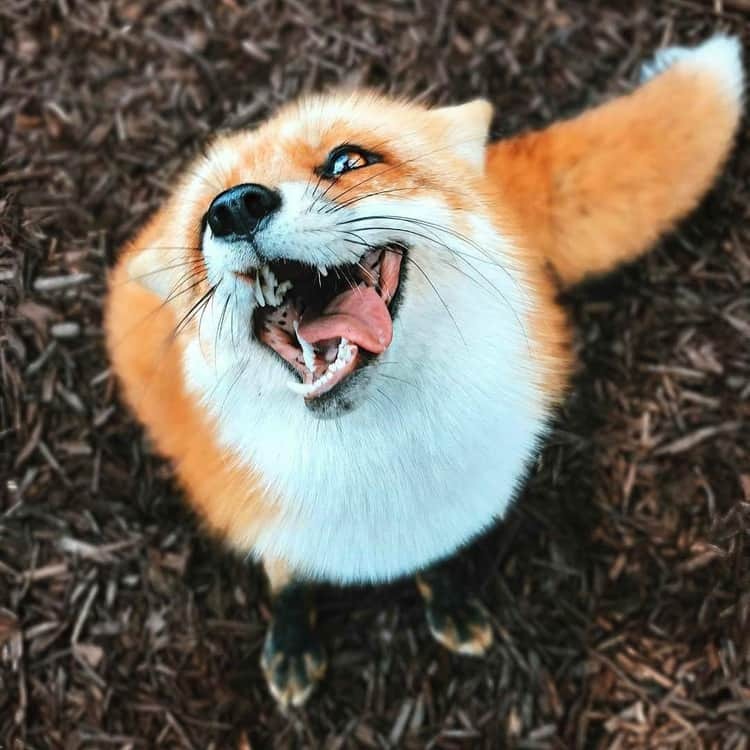 That's one educated fox right there. Did any cars stop for it? Were you that stop? Was it one of those crosswalks with the buttons you can press for the yellow blinky lights to trigger? If so, did the fox press the button before crossing too? why did the fox cross the road? i saw a fox again the other night. momentarily thought i would hit him with my car but my fears were swiftly relived because those boys are fast. sorry for the lack of updates. saw a skunk and possum and deer last night in addidtion to mr fox (good wildlife commute) , and it been hella turkeys this/last year.